A Mahaska County District Court judge has ruled in favor of the Cities of Pella and Oskaloosa Wednesday for a legal petition filed last August after the Mahaska County Board of Supervisors voted to leave the Regional Airport 28E Agreement in 2017. According to court records, Judge Shawn Showers ruled the plaintiffs’ motion for summary judgement and declaratory judgment were granted. The court ruled the 28E Agreement was valid and binding, and that the actions of the Mahaska County Board of Supervisors were in breach of contract, including the removal of their representative on the South Central Regional Airport Agency Board. The court also reinforced the terms required to dissolve the agreement, which states in order for any one party to leave the agreement, the Pella City Council, Oskaloosa City Council, and Mahaska County Board of Supervisors must all give their approval. 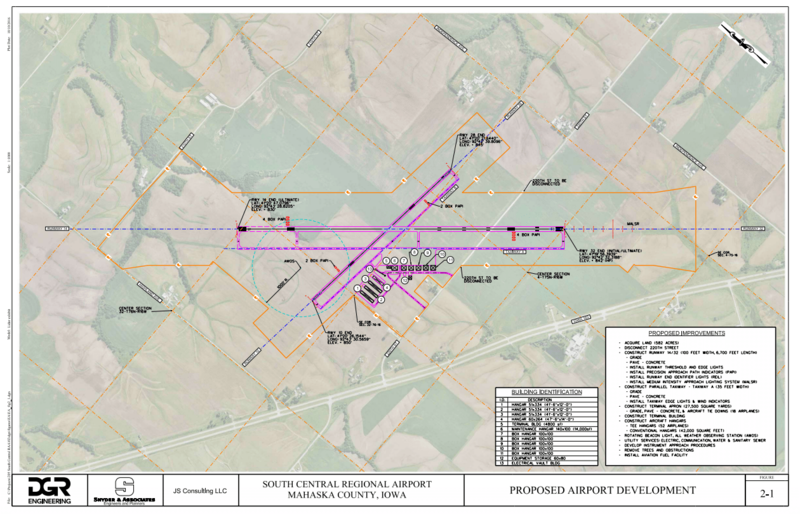 The Cities of Pella and Oskaloosa filed a petition to seek the Mahaska County District Court’s backing to enforce Mahaska County’s performance of their part of the agreement, which includes legal and regulatory action required to build the potential $30 million airport northwest of Oskaloosa.